“Roam” was the first big mistake I remember making in life. Back in elementary school, I was in a spelling bee, and after studying a ton of words, I was pretty confident going into the competition. I spelled a couple words correctly but then came the word “roam.” Even after the moderator used it in a sentence, I took a pause, and spelled it R-O-M-E. She told me I was incorrect and I could feel my face get warm. I took my seat and sat through the rest of the spelling bee humiliated that I got eliminated on such an easy word and I felt like dying. Flash forward. 1) I didn’t die and 2) I never spelled “roam” nor “Rome” incorrectly ever since. 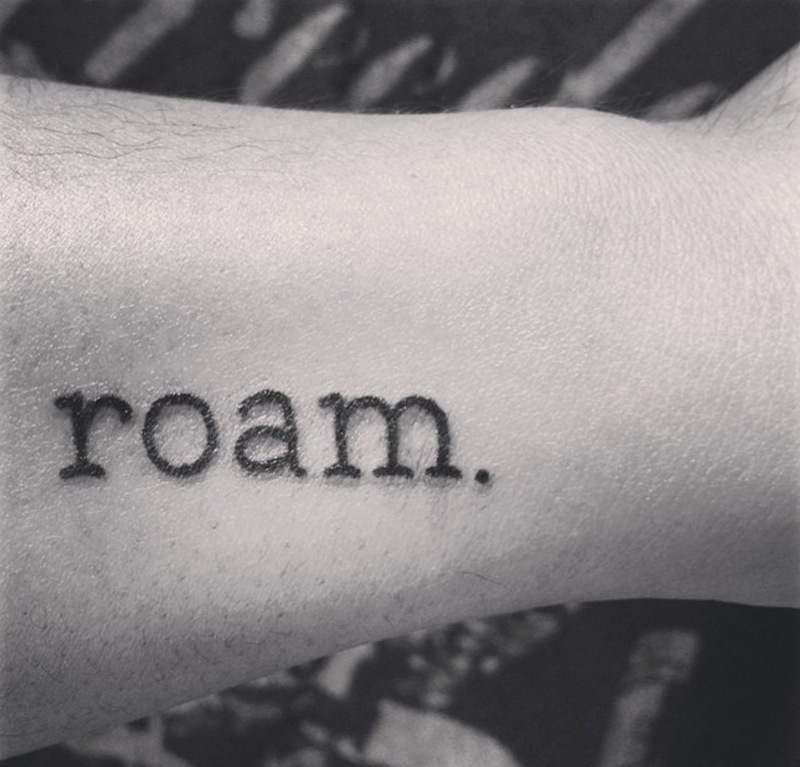 “Roam” taught me that you’ll learn from every mistake you make in life, and you become a better person because of it. Since that spelling bee, I’ve made a ton of mistakes and have improved myself from them. A lot of times I dwell on mistakes instead of trying to get past them, and my new tattoo will be a visual reminder to live…and learn. Also, I really want to travel more and experience the world, which is why I decided to get this tattoo while in New York City. It seemed fitting. That and…it looks pretty damn cool. This entry was posted in AldyWaldy and tagged mistakes, New York City, roam, rome, spelling bee, tattoo. Bookmark the permalink.